Although tax season has finally ended for most taxpayers, many people must still deal with tax-related matters, such as requesting an extension, amending a tax return, or providing the IRS with additional information. Unfortunately, these types of after-tax-day issues can be difficult to resolve, so if you have questions about these or any other tax-related matters, it is critical to speak with an experienced tax attorney who can address your concerns. Sometimes, despite their best efforts, taxpayers are not able to file their tax returns by the deadline. Fortunately, there is no penalty for filing a late return, unless the taxpayer also failed to pay any taxes by April 18. 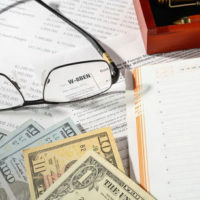 The penalties and interests that begin to accrue for those who make late payments can be substantial, so it is important for any late filers to contact a tax lawyer who can help them avoid the worst of the fines. Questions regarding a refund amount. Some of these issues are relatively straightforward and can be easily resolved. Others, however, are more complex and may require a series of responses and the submission of specific information. For instance, failing to respond to a notice requesting additional information by a certain date can lead to higher penalties and the loss of the right to appeal. Prior to accessing a tax account online, however, the taxpayer will need to authenticate his or her identity through the Secure Access process. Tax season is a stressful time and it is not uncommon for a taxpayer to make a minor error on his or her return. While small mistakes are usually corrected by the IRS, taxpayers will need to file an amended tax return if they need to change their filing status, correct their income, or recalculate deductions. In addition to sending in an amended return, taxpayers may need to comply with IRS requests for missing documents or additional information. While tax season may officially be over, many taxpayers still have tax-related problems to address, so if you live in Daytona Beach, Jacksonville, Miami, or Orlando and have a tax-related question, please contact Ronald Cutler, P.A. at 386-490-9949 to schedule a one-on-one consultation with a knowledgeable Florida tax attorney.